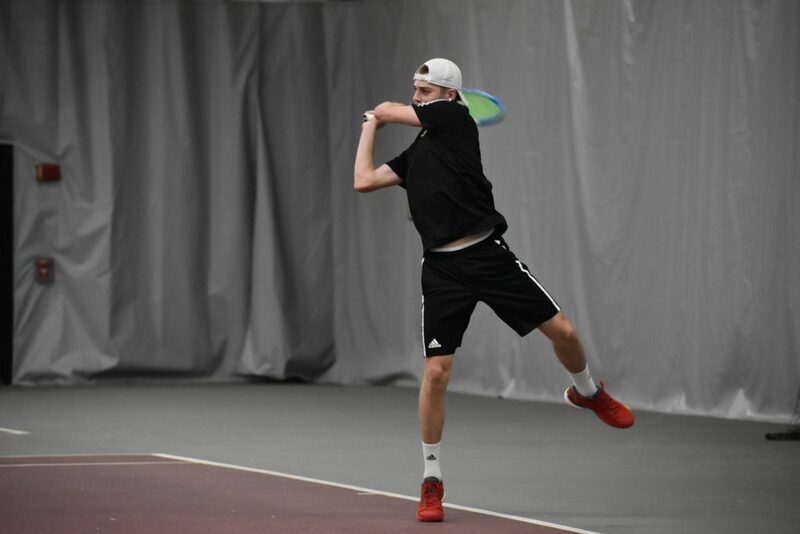 Men’s tennis (13-9) hosted Duke to start off their doubleheader this past Sunday and lost 4-1. They currently hold a 2-6 conference record. The doubles lineup included senior Christopher Morin-Kougoucheff and freshman Fabien Salle at No. 1, senior Federico Gomez and freshman Alex Wesbrooks at No. 2, and senior George Hedley and junior Fredrik Moe at the No. 3 spot. No. 3 Hedley and Moe fell to Spencer Furman and Vincent Lin (DU) 6-0. Next, No. 2 Gomez and Wesbrooks fell 6-2, giving the doubles point to the Blue Devils. No. 1 Kougoucheff and Salle were down 3-5, but their match was left unfinished. The singles lineup included Kougoucheff at No. 1, senior Brandon Lancaster at No. 2, Salle at No. 3, freshman Sergio Hernandez at No. 4, Gomez at No. 5, and junior Clement Filho at the No. 6 spot. Filho fell 6-4, 6-4 to Jason Lapidus (DU), making the score 2-0. The Cards fought back with a win by Hernandez on court four (6-1, 6-4). Salle battled, but fell 6-1, 7-6 (5) to Catalin Mateas (DU), giving Duke another point. To clinch the match, Spencer Furman (DU) defeated Lancaster 7-6 (2), 6-4, making the final score 4-1. Gomez and Kougoucheff split sets and were in the third, however their matches were left unfinished. Gomez was up 1-0, and Kougoucheff was up 4-0 against 75th ranked Nick Stachowiak (DU). The Cards went on to host Illinois State later that night. Photos by Riley Vance / The Louisville Cardinal.